France, the most visited country in the world with 76.8 million tourists arriving in 2010 has been the most popular world tourist destination for the last 20 years and it’s simple to see why the love affair with France never falters. As a country of class, beauty and tradition, tourists flock to France not only to immerse themselves in the romantic language of love or sample the delicious world famous cuisine but to soak up the cultural sensations in Paris, the famous ‘City of Light’, the chic indulgent lifestyle on the striking French Riviera and the variety of adrenaline-charged winter sport activities available in the French Alps as well as experience the huge variety of internationally renowned events such as the Tour de France which finished over the weekend. However in spite of its undeniable world popularity, France takes third place on the global stage in terms of tourist revenue according to the UN World Tourism Organisation (UNWTO) generating €49.4bn in revenue back in 2009 while unsurprisingly the mighty USA pulled in a massive €93.9bn with Spain following behind in second place with €53.2bn. Nevertheless, France with its unbreakable winning spirit has declared that it must improve its position with business minister Frédéric Lefebvre wanting to firmly place the country in the world number two spot for tourism revenue over the next two years. With this in mind, a new campaign – Rendez-Vous en France is being launched with the aim of further advancing the French appeal to potential holidaymakers and encouraging greater consumer spending by highlighting what the country has to offer. This will include an emphasis on French culinary delights, first rate wines and high class fashion that have become typically associated with the hot spot over the years. “Although the land of Stars and Stripes reign supreme in terms of tourist revenue, new initiatives such as Rendez-Vous en France will with no doubt generate more publicity for the world’s most popular country. With this aiding Lefebvre’s vision, improving the French position in terms of tourist revenue is not impossible by any means. Indeed sales of French properties to international buyers increased by 21% in 2010 according to the Living Abroad survey by French bank BNP Paribas and so if you’re thinking about buying French property and wish to immerse yourself in the more indulgent side of life, one that oozes French glamour and sophistication Terresens, the leading French eco-friendly leaseback developer has one of this summer’s most hotly anticipated luxury leaseback developments on offer. Residence le Six, a stunning development located in Le Cannet, the business district of Cannes just 10 minutes from La Croisette affords fully furnished studio and 1 bedroom apartments with parking available from just €137.659. Set in a premium location Residence le Six affords provides superb on-site facilities including a heated swimming pool, spa and fitness centre. Furthermore investors can enjoy the best of both worlds through the leaseback programme with up to 4.25% guaranteed returns index-linked and personal usage options. Great news for Scots with a passion for skiing! From December 2011 low-cost airline Jet2 are commencing new routes from Edinburgh and Glasgow to the heart of the Alps – Chambery, Geneva and Salzburg. With the winter holiday season only months away many keen skiers will already be planning a vacation and having greater access to the slopes is excellent news with direct flights from Glasgow to Geneva and Edinburgh to Salzburg and Chambery. “Friendly flight times are carefully scheduled to get passengers to the resorts and out on the snow the day they arrive. Customers don´t need to rush for a seat as they are pre-allocated – we want to make sure any racing is done on the piste and not to get on the aircraft!" For owners of chalets on the Alpine ski slopes who will be looking to maximise their rental potential, new flight opportunities such as these are always fabulous news. “Giving home owners and holiday makes more choice and more availability to fly is always very positive news. We are particularly interested in the new flights being opened to Chambery. This airport is a very key portal to get into the Alps but particularly good for people wanting to ski in the Tarentaise as the airport is only just over an hour from most resorts in this area. This ski region includes Val D’Isere and Tignes which is undoubtedly one of the largest ski areas in the world. La Chapelle is a luxurious 4* block of 68 apartments provides both a fantastic lifestyle opportunity and also a strong investment with guaranteed & index-linked returns for 18+ years with a very strong French management company. All apartments come with fully fitted kitchens and flat screen TV’s. Shared facilities include an in/out pool, Sauna, Turkish Baths and a spa. Prices for apartments in La Chapelle, Ste Foy, start from €161,014 and include furniture and parking Contact Terresens on +44(0) 2030 101 110 or visit www.terresensleaseback.com for more information. Méribel, best known for being a top winter ski destination, transforms into a totally different kind of playground in the summer months, providing intense scenery covered in brightly coloured flowers and rich green trees all lit up by the sparkling sunshine. Yet remarkably, this Alpine hotspot remains a relatively undiscovered summertime land with many being unaware of the vast and varied outdoor activities that Méribel has to offer. Situated in the middle of the Les Trois Vallées, a popular ski region in the Tarentaise Valley, near the town of Moutiers, Méribel’s stunning landscape provides the perfect environment for a whole host of summertime activities including hiking, mountain-biking, golf, climbing, parapenting, white-water rafting, canyoning, horse riding, tennis, glacier walking and hot air ballooning to name but a few. Sitting on the edge of the 140,000 acre Vanoise National Park, founded to protect the rich eco system of the area and close to The Tuéda Nature Reserve, Méribel serves as a hikers paradise where levels reach up to 3,855m and include 500km of maintained and marked trails, suitable for the entire family to discover Méribel’s natural unspoiled beauty and 100 species of flora and fauna. There are also opportunities to discover Méribel’s hidden wonders via an extensive network of cycling tracks snaking through the valley while professionals and amateurs alike can partake in the yearly Three Valleys Mountain Bike competition, completing circuits around the Three Valleys at various levels of difficulty with the help of the ski lifts. And for cycling fanatics, there is also a chance to catch a possible glimpse of the famous Tour de France cycling tournament. If it’s golf you’re after, Méribel’s 18 hole course is perhaps one of the most handsome courses in the Alps. Developed by some of the world’s most famous golf course designers, Méribel hosts a three day Drive des Groumets Golf Competition each year combining golfing on the resort’s mountain course with gourmet wining and dining. In addition to the outdoor activities, Méribel plays host to more relaxed goings-on such as concerts like Music’ Air, a one week event in July playing jazz, folk and rock music as well as street performances including the Magic Méribel event offering a week of illusions and workshops where you can learn circus skills and magic tricks. By offering a myriad of activities and events to occupy even the most demanding of visitors it is clear that the picture-perfect destination of Méribel is destined to lure in visitors throughout the year, however the beautiful ski resort will be reverting back to its famous winter roots seeing Méribel host one of the highlights of the Alpine ski calendar – the World Cup finals in 2014/15, attracting vast numbers of winter sports fans from across the globe. “Certainly, internationally renowned events will help boost Méribel’s profile, coupled with the fact that France remained the world´s most popular travel destination in terms of international arrivals last year according to The UN World Tourism Organisation (UNWTO) seeing 76.8 million tourists arrive in 2010, indicating that France remains a tourism force to be reckoned with. According to Holiday Lettings, which represents around 5,700 properties in France, bookings up until May this year for France were up by 11% with a growing number of enquiries coming from across Europe while sales of French properties to international buyers increased by 21% in 2010 from 42,300 in 2009 to 51,200 last year according to the latest Living Abroad survey by French bank BNP Paribas. As the only new build development in Méribel, Terresens are providing a boutique luxury development in Chemin de la Chapelle in the centre of Méribel, Les Trois Vallées, costing from approximately €700,000. Consisting of 8 units – 2 chalets and 6 freehold apartments where the layout and finishings can be custom designed to suite any taste, the Méribel development will be situated close to a wide range of facilities including a wellness and fitness centre, Olympic ice rink and swimming pool and a number of restaurants and bars to choose from including self-service mountain eateries and traditional restaurants offering local dishes. For most, buying a home abroad remains a significant, long-term commitment especially if mortgage finance is required, however how do you ensure that your dream property in France remains as wise a purchase in 20 years time as today? According to experts, the best way to future-proof your French home is to think green. Consideration for the environment and our impact upon it has become almost unavoidable in the 21st century. The UK has signed up to a variety of green legislation including the Renewable Heat Incentive due to be met this year, Building a Greener Future which proposes that all new homes be constructed to a ‘zero carbon’ standard by 2016 and Green Deal which will provide energy makeovers to some 14 million homes by 2020. In addition the UK and other Members States including France are committed to the Europe 2020 strategy which requires 20% of all energy needs to be sourced from renewables. “Thinking green has gone beyond small scale recycling and taking fewer long haul flights. Housing is one of the main contributors to CO2 emissions and we have a moral and legal responsibility to consider sustainable eco-friendly alternatives for the properties we own. With increasing levels of EU environmental legislation being passed, potential property buyers need to start planning now to ensure that their investments meet the criteria in years to come in order to avoid incurring heavy operating and possibly redevelopment costs later down the line. 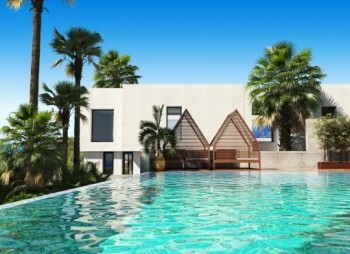 With energy costs, water management and waste disposal all becoming increasingly expensive, investors who buy sustainable eco-friendly properties, such as those provided by Terresens, will see lower CO2 production, lower operating costs and therefore higher income margin and increased property value. With environmental impact at the very heart of Terresens, each luxurious development holds an ecological rating out of 150 enabling buyers to make an educated choice. The luxurious 4* apartments of La Chapelle in the traditional Alpine village of Ste Foy for examples boast a rating of 112 due to the use of natural building materials, water retrieval and sustainable management. 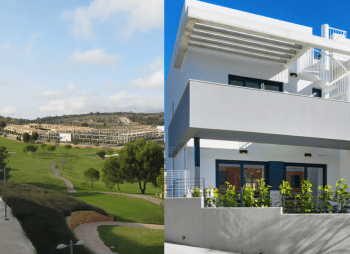 Similarly the completed Les Mazets de Ventoux residences in Malaucene scored an eco rating of 89 due to use of only natural products and eco friendly building principles such as bio paint, renewable electricity and treatment of green areas. One common objection against eco homes is the perception of a higher price point; whilst this might be correct in some cases, Terresens ensures that all properties are priced in line with the current market. Properties in Les Mazets de Ventoux for example are available from €141,000 with an attractive 4.1% guaranteed index-linked return plus 3% cashback and due to the superior eco credentials, resale appeal is expected to be higher than traditional homes in the area. And so with time marching ever on, it is imperative that investors think green today to future-proof their homes in France. For more information about investing in sustainable, eco friendly leaseback developments in France contact Terresens today on + 44 (0) 2030 101 110 or visit www.terresensleaseback.com. The French Riviera with its chic, sophisticated lifestyle, undeniable French charm and not to mention that all-important warm climate is the place to be and be seen this summer. Rented accommodation in the coastal city is bursting at the seams as visitors flock to world famous events, luring A-list movie stars and influential business tycoons alike. It is hardly surprising that the French Riviera has forever been a popular choice amongst overseas property investors looking to capitalise on a well-tested market. Having adopted the ‘Life is a Festival’ motto, the French Riviera has an endless stream of events year round making it an ideal buy to let investment location. As The Cannes Film Festival ends, having successfully pulled in a whole host of global movie stars, world press and industry enthusiasts to celebrate the world’s filmmaking delights, the Monaco F1 Grand Prix will begin today, guaranteeing to attract many a petrol head. As the population of the French Riviera explodes over the summer months, demand for event orientated and holiday accommodation grows with savvy buy-to-let property investors soaking up substantial rental incomes. Serious property investors are always on the lookout for key fundamentals that will sustain a market beyond the long peak summer season and therefore the reported increase in the number of commercial, business and helicopter flights in and out of Nice Côte d’Azur airport, with commercial air travel growing by 9.1 per cent and helicopter traffic rising by 4.1 per cent during April 2011, is surely good news. With talk of A-list residents and private helicopters many would expect property on the French Riviera to come complete with an expensive price tag, however buyers will be pleased to know that there are more affordable options available that still offer the same luxurious quality one would expect. Leading eco-friendly French leaseback developer, Terresens has just released Residence le Six located in Le Cannet, the business district of Cannes just 10 minutes from La Croisette, affording fabulous on-site facilities including a heated swimming pool and spa and fitness centre. Comprising fully furnished studio and 1 bedroom apartments complete with parking available from just €143,000 investors can enjoy the best of both worlds through the leaseback programme with up to 4.25% guaranteed returns index-linked and personal usage options making this an ideal opportunity pull in weighty returns from the ‘star’ of the French Riviera. The news of a proposed 20% tax on second homes in France owned by non French residents has caused some concern for potential property buyers in recent days; however experts advise that leaseback properties which, as part of the French government program established in the late 1960s, are rented out for a set period each year, will avoid this equivalent of a second tax. “The proposed changes by the French government to the taxation of non-French resident property owners which if passed will come into force from January 1st 2012 appear very popularist proposals to win votes in an election year. They do not attract foreign investment, may conflict with EU principles and therefore may well not be agreed. Leasebacks have risen in popularity in recent years compared to classic second home purchases in France due to the security they offer. Leaseback purchases offer owners the best of both worlds, freehold ownership of a property in France, guaranteed rental income (index linked) derived from the lease of the property to an appointed management company as well as personal usage throughout the year. In addition VAT is refunded, a considerable saving of 19.6% for buyers. For more information about the proposed new tax and buying leaseback property in France contact Terresens today on +44 (0) 2074 714 681 or visit www.terresensleaseback.com. Cannes, known as the ‘star’ of the French Riviera, tucked away in La Napoule bay is popular for its glamorous A-list lifestyle, exquisite location, warm climate, world famous festivals and accounts for 1% of the world’s tourism, an astonishing achievement for such a small city. Once you set foot into Cannes it is easy to see what the attraction is. The unbelievable amount of wealth is obvious with jaw dropping sports cars revving their engines and luxurious yachts dominating the bay whilst the streets are lined with designer boutiques and high quality restaurants. Having adopted the ‘Life is a Festival’ motto, it would seem that life in Cannes is certainly this, with an abundance of international galas taking place every year bringing together the rich and famous from every corner of the world with the international Record and Music Market stopping by in January and the International Market for Television Programs taking place in April and May. Of course, the highpoint of the year is always the Cannes Film Festival which opens today, luring in movie stars and celebrities, the global press and industry enthusiasts to sing the praises of the year’s filmmaking sensations. Not surprisingly the population of Cannes explodes during the festival as visitor numbers almost treble, resulting in increased demand for rental accommodation. Back in March, MIPIM Cannes, a well-known global trade show, brought together some of the most influential real estate investors to discuss business ideas and all things property related. As expected, property owners in Cannes will be clapping their hands right about now, soaking up substantial rental incomes from the film festival indicating to other potential buyers that owning a property in Cannes could be a smart move to make. Due to its notoriety many would expect property in Cannes to come complete with a designer price tag but this isn’t always the case. 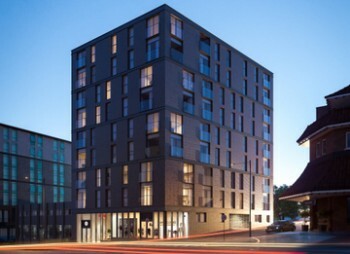 This summer’s most hotly anticipated luxury leaseback development, Residence Le Six, has just been released by Terresens with fully furnished studio and 1 bedroom apartments with parking available from just €150,000. Located in Le Cannet, the business district of Cannes just 10 minutes from La Croisette, Residence Le Six affords a premium location and superb on-site facilities including heated swimming pool, spa and fitness centre. Furthermore investors can enjoy the best of both worlds through the leaseback programme with up to 4.25% guaranteed returns index-linked and personal usage options. Responding to the ongoing demand for high quality leaseback property, the UK arm of France’s premier eco-friendly property developer, Terresens UK, has appointed AB Property Marketing as representatives in the UK and Ireland. 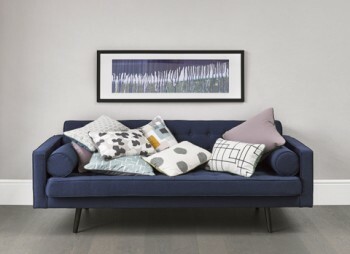 Responsible for Marketing and Communications, AB Property Marketing will be working closely with the London based operation to raise awareness of the affordable and environmentally conscious leaseback properties from Terresens as well launching new products to market through innovative Marketing campaigns. Since the launch of their London office in 2009, Terresens has built a reputation for excellence in the development of leaseback properties with over 150 happy clients. Uniquely for leasebacks, environmentally conscious design is at the heart of each Terresens property with every development awarded an Ecological Rating. Terresens UK currently offers 3 and 4* leaseback apartments in a number of destinations in France including Sainte Foy, La Plagne and Vars in the Alps as well as Camargues, St Emilion in the Dordogne, Malaucene in Provence and the much anticipated new release in Cannes on the Cote d’Azur. What can Terresens UK offer the media? Terresens UK are also active on Social Media with a regularly updated blog, Facebook and Twitter accounts. For more information on Terresens UK and for all media enquiries please contact AB Property Marketing on +44 (0) 845 054 7524 or c.ashton@abpropertymarketing.co.uk. As the 2010/11 ski season enters its final throws, property owners in the Rhones-Alpes region of France should be pleased to hear of the 17% increase in holiday home booking enquiries received by the UK’s leading rental company, HomeAway.co.uk, compared to last season. The most popular areas remained traditional family favourites with Chamonix Mont-Blanc topping the charts followed by Portes du Soleil and the desirable Val d’Isere – Tignes – Sainte Foy region. And it is not only HomeAway.co.uk who has seen France’s popularity as a ski destination rise this year. The latest data from Ski Horizon, a leading ski travel operator, reveals that France proved to be Europe’s most popular location for skiing holidays in the 2010/11 season with the resorts of Morzine and Les Arcs being the most popular. Indeed with tourism to the region on the increase, the rental market is looking robust. A 2 bedroom ski apartment in the exclusive Val d’Isere – Tignes – Sainte Foy area for example can produce a weekly rental income of £1,129 according to HomeAway.co.uk which when combined with capital appreciation of 7.48% per year over the last five years makes purchasing a property in this area highly lucrative. Luxury ski apartments in Sainte-Foy, the hidden gem of the Alps, only 15 minutes from Val ‘dIsere, are in fact proving very popular with investors as prices remain affordable and they offer the best of both worlds through the established leaseback program. Available from €164,000, the 4* one, two, three and four bedroom ski-in ski-out apartments are fully furnished with first class on-site amenities including indoor pool, spa, sauna, parking and ski locker. The apartments also hold an ecological rating of 112 (out of 150) – one of the hallmarks of Terresens properties. As part of the leaseback program owners can now receive an additional 0.5% rental income on properties in La Chapelle raising the guaranteed returns to 4.3% for 18 years in addition to one week’s personal usage. This special offer only extends until 30th April 2011 and with only a limited number of units remaining now is the time to buy. For more information about purchasing a ski property in France, the leaseback programme or the special offer at La Chapelle, Sainte Foy, contact Terresens today on +44 (0) 207 714 681 or visit www.terresens.co.uk.